Hey loves, as I asked you last week in my Instagram stories about more personal insights and behind the scenes, your answer was very clear on that. So I’ll definitely post more of my personal updates and weekly reviews – thanks a lot for your interest! 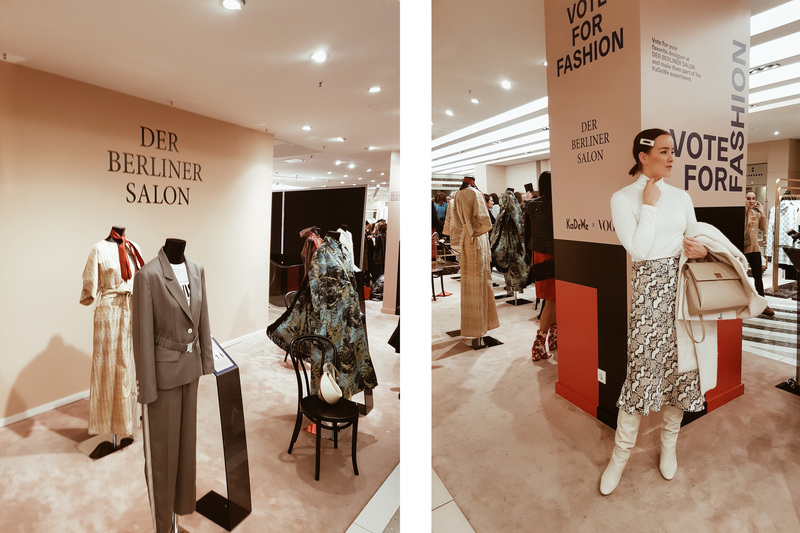 🙂 So this week we are starting with last weeks thoughts and impressions from Berlin Fashion Week. Most of the shows and events are taking place from Monday until wednesday and between 10am and 8pm. So you can guess that’s kind of hard to combine with a fulltime office job. And even though my job can be kind of flexible, I usually need to be in the office anytime between 10am and 3pm. So many bloggers might take holidays to participate in all of the events but to be honest: I’m not a fan of sacrificing my holidays for Fashion week (especially in winter, when it’s not that nice outside haha). But of course that’s a personal preference and I don’t judge anyone doing that or coming from outside of Berlin and taking days off for that. Also, I didn’t sent out that many requests this year as I wasn’t that eager about Berlin Fashion week (whereas I would love to visit Copenhagen or Milan or Paris soon! ) But anyways I accepted some invites so my colleagues in the office were wondering why I’m dressed up, being in the office at 8am or earlier and panicky leaving it in the early afternoon. 😉 Of course it can be a bit stressful during this week but like it says: its only 2 or 3 days and it’s “nice” stress as I’m deciding to have it by myself right?! Who is sitting Front Row? Who has a fitting with the designer and can wear which outfit? And whose picture is being shot by the streetstyle photographers and can be seen online or in a magazine? Yes, all of these questions are always a part of the fashion week carousel. And I also caught myself thinking the same or wondering “Why did she get an invite and I didn’t?”. Fashion week and it’s showcasing of superficiality always leads me into overthinking, doubting and comparing myself to others. And if this happens to me – 28 years old and with at least a bunch of life experience- I can only imagine how much younger women feel about this. And while talking about self doubts: I still can’t believe that at a blogger event they were offering lip injections!! Like seriously, how can you offer a beauty operation like it’s nothing else but a manicure? That’s way too much for my taste and shouldn’t be a decision “on the go”! But of course there also many pro’s against these con’s. So most of all, the fashion week always means inspiration and communication to me. The new collections, lots of input and creativity always provide lots of inspiration and I’m loving all the different influences. 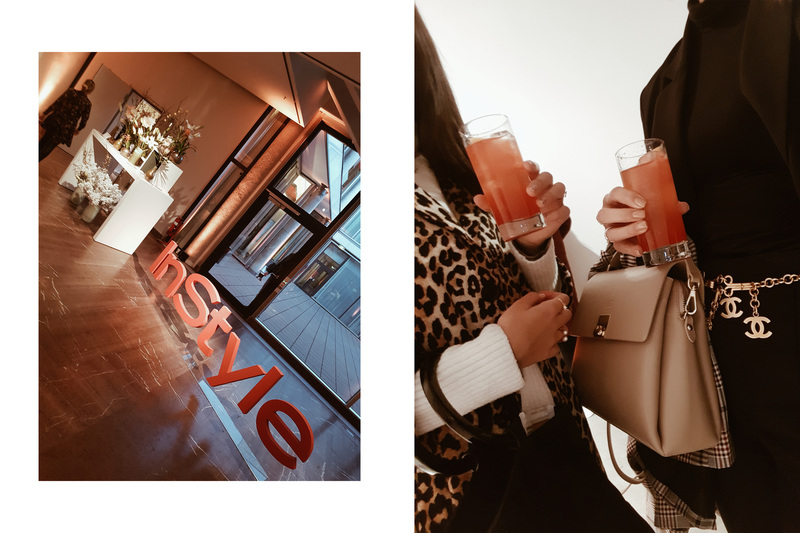 And I’m also a big fan of the networking during those events as I’m seeing many familiar faces of my blogger colleagues and many inspiring women from designers, agencies and brands. So each of these little meetings in-between turns fashion week for me into something special. So what about your thoughts about fashion weeks and have you ever visited some? Find my other Fashion Week reviews from last years here. PS: Du willst 2019 zu deinem Fitnessjahr machen? Dann schau unbedingt mal “bei meinem letzten Post“ vorbei! Ich habe mir dieses Mal auch wieder keinen Urlaub genommen – dafür Reise ich in letzter Zeit einfach viel zu gerne^^ Aber ich liebe die Shows und Events der Fashion Week doch irgendwie. Vor allem die Inspiration der Mode. Das “sehen und gesehen werden” ist auch nicht so ganz meins^^.